Happy Monday! I loved having the extra day off. 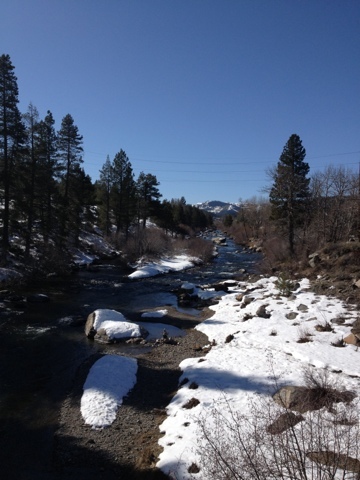 Yesterday we headed North to Truckee, CA. 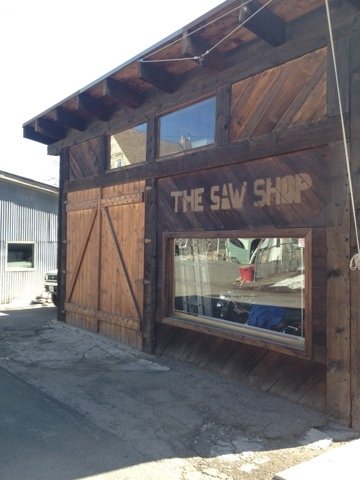 It's a cute little town located in the Sierra Nevada just North of Kings Beach/ Incline Village (North Lake Tahoe). 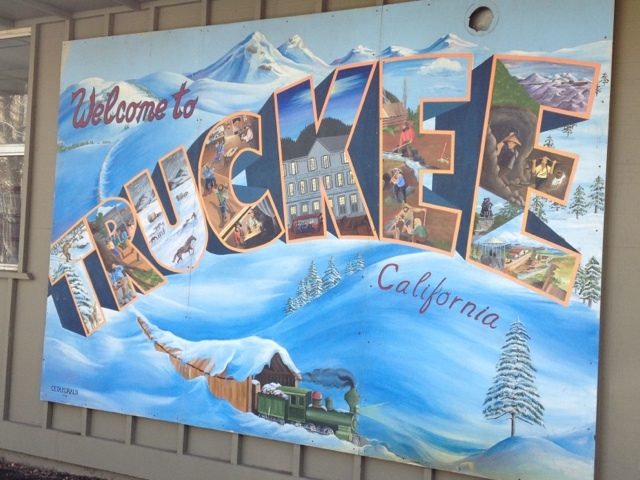 Our friend Matt just moved back to Truckee after a short stay in Ogden, Utah. We started the morning off with a coffee and chai at The Coffee Bar before walking around Town. 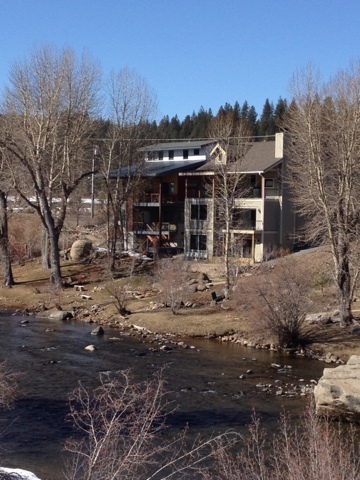 We strolled along the Truckee River and looked at old homes. After a bit, we worked up an appetite and headed to Diego's for street tacos. YUM! 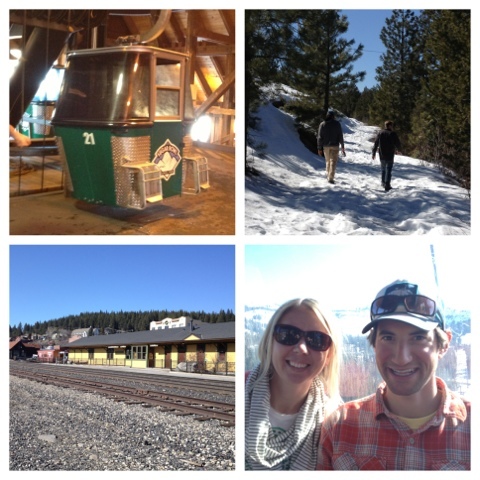 Our next stop was Sugar Bowl Ski Resort - for scenic views and beers. It was weird going to a ski resort and not snowboarding. 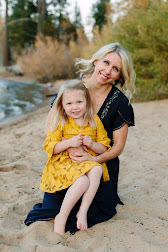 looks like a beautiful place to visit! it's been so long since I've seen snow of any kind. Looks like such a cute town! Sounds like you had a great weekend!